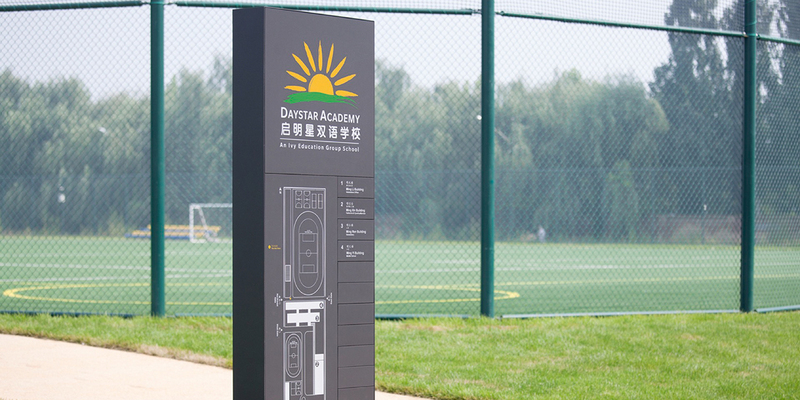 In addition to the overall standard project procedures anySCALE led for Daystar Academy’s Beigao and Sanlitun campuses during the renovations and upgradations, the team specially designed a signage and wayfinding system including outdoor and indoor directories, room tags throughout the campus. 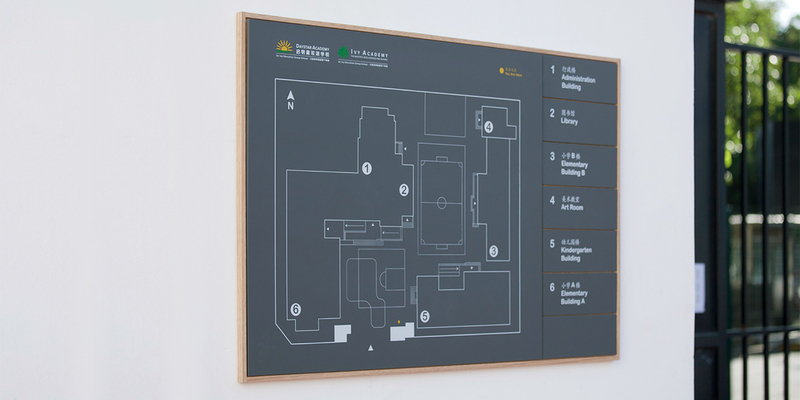 The signages showed consistency with the style adopted for the interior design. 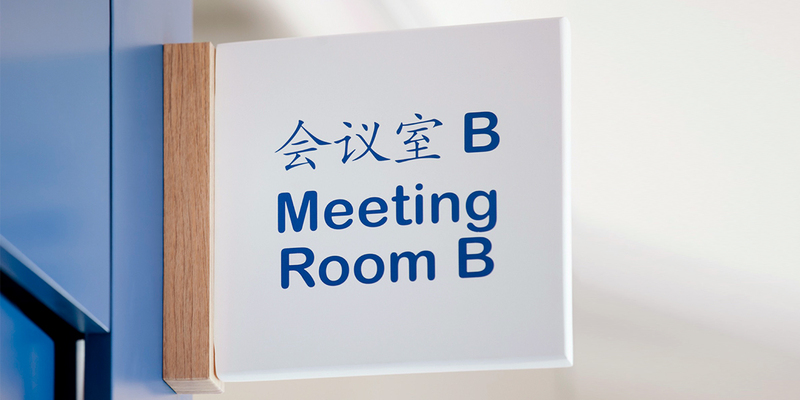 The color of the signage frames and font on the door tags was based on the set color template of blue, yellow and white that is kid-friendly while still being professionally appropriate for a premier education institute. 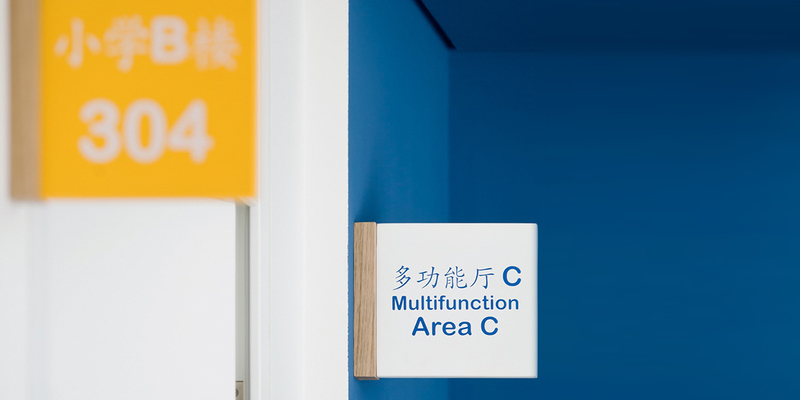 Numbered yellow tags were designated for classrooms, white tags with the blue font were for functional rooms such as office areas and meeting rooms. 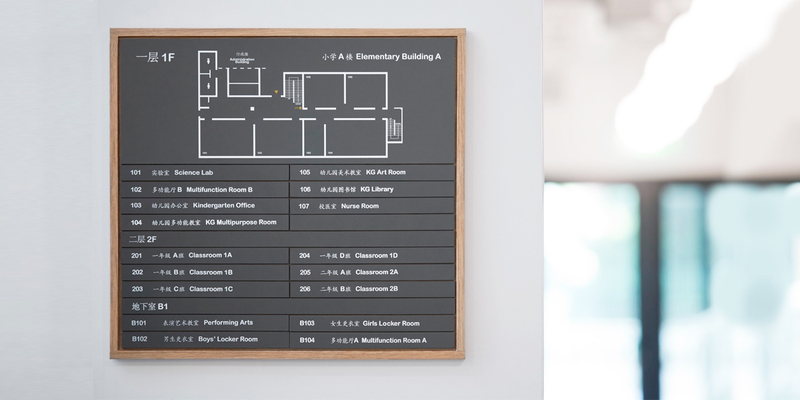 Since the average yearly schedule comprises of various kinds of academic and co-curricular activities, school buildings require flexible use of rooms. 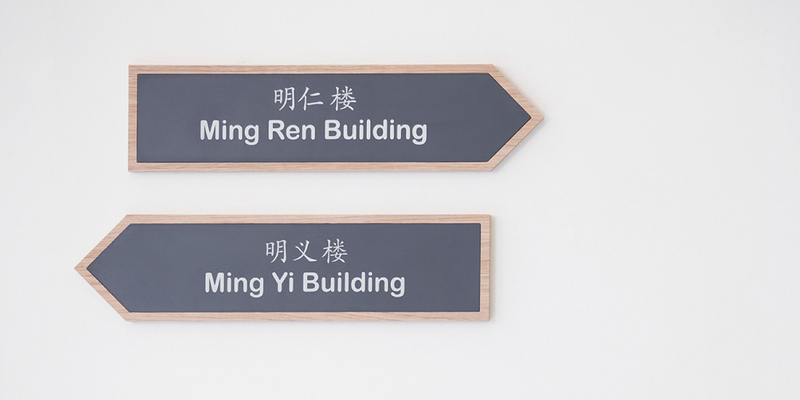 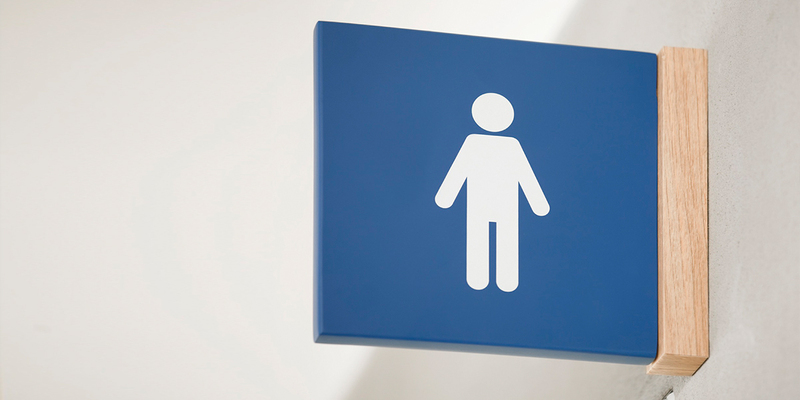 To accommodate this need, all room tags, labels and frames were designed to be removable and interchangeable, thus aiding the multifunctionality of spaces.